Rivets. Always useful when scratch-building or doing conversion work, especially in the gothic environment of the 30k/40k universe. 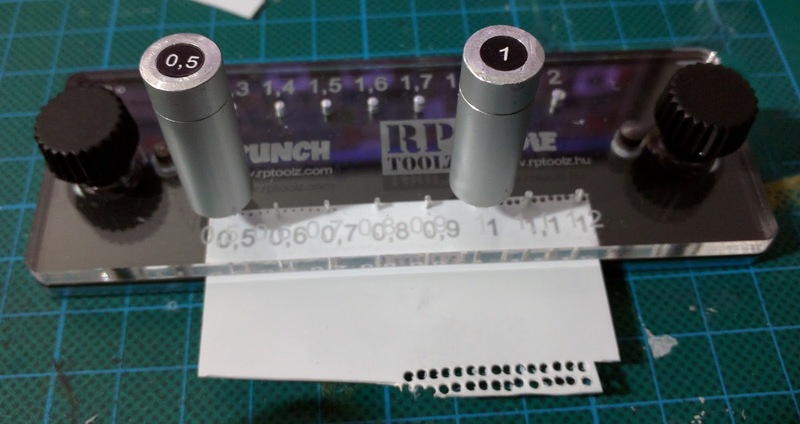 So how do you make rivets? 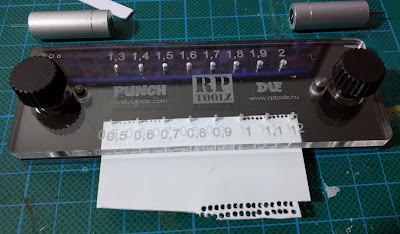 You can cut small diameter plastic rod, destroy and old Brita filter, or you can grab an RP Toolz punch and die﻿. How does it work? Simple really. Grab a piece of plasticard, slot it into the die. Choose your rivet size and finally hammer your punch until you have enough rivets.